Transactions on the floor of the Nigerian Stock Exchange (NSE) were dominated on Wednesday by negative sentiments. It was observed that despite the positive results released yesterday by GTBank and Stanbic IBTC in their 2017 financial year, the mood remained weak. Even the encouraging inflation data for February 2018 released yesterday by the National Bureau of Statistics (NBS) failed to excite investors. At the close of business on Wednesday, the equity market ended in the red zone, shedding 0.54 percent to bring the year-to-date gain down to 12.02 percent. 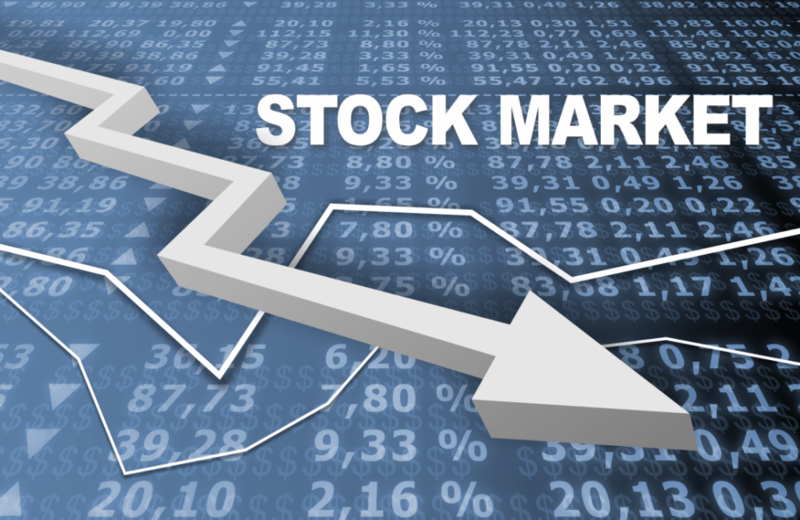 Business Post reports that the All-Share Index (ASI) lost 233.90 points to close at 42,839.52 points, while the market capitalisation went down by N83.7 billion to settle at N15.325 trillion. Also, the volume of shares transacted by investors on Wednesday declined by 8.44 percent, however, the value appreciated by 11.93 percent. A total of 373.5 million equities were traded yesterday in 5,220 deals worth N6.9 billion compared with 407.9 million shares exchanged in 5,245 deals the previous day valued at N6.1 billion. Leading the activity chart on Wednesday was Fidelity Bank, which sold 45.8 million shares worth N131.5 million. Zenith Bank followed after trading 36.3 million equities at N1.1 billion, and FBN Holdings, which sold 34 million shares for N389 million. Axa Mansard exchanged 25.3 million shares valued at N69.7 million, while FCMB traded 25 million equities worth N63.3 million. Like the previous day, the market breadth finished negative yesterday, recording a total of 15 price gainers and 42 price losers. Nestle Nigeria closed the day as the biggest price loser, shedding N20 of its share value to close at N1380 per share. It was trailed by Total Nigeria, which went down by N3 to close at N246 per share, and Dangote Sugar, which fell by N1.10k to settle at N21.20k per share. Cadbury Nigeria declined by 85k to end at N17.10k per share, while NASCON depreciated by 70k to finish at N21.30k per share. On the flip side, Nigerian Breweries topped the gainers’ chart after appreciating by 90k to settle at N130.90k per share. Stanbic IBTC rose by 55k to close at N49.15k per share, while Dangote Cement increased by 40k to finish at N268.80k per share. Furthermore, Fidson gained 24k to settle at N5.14k per share, while UAC-Prop advanced by 15k to end at N3.15k per share. Business Post expects the release of more 2017 earnings of quoted firms on the NSE to provide the necessary boost at the market.